The 2003 Temecula Valley International Film & Music Festival (TVIFMF) is proud to announce Etta James will be receiving recognition and honors for the field of music, as she is presented the Lifetime Achievement Award at the annual Black Tie Awards Gala , 6:30 p.m. on Saturday, September 13, 2003 at the Ponte Family Estate Winery (35035 Rancho California Road, Temecula). Family Estate Winery (35035 Rancho California Road, Temecula). James is a woman whose career has spanned more than five decades and whose contributions to the music industry are unparalleled. the mid-'50s through soul's late-'60s heyday, right up to today. Her fearless experimentation is evident in her recordings, from chart-topping R&B ballads including "At Last," "Trust In Me," and "All I Could Do Was Cry," to the gospel-infused "Something's Got A Hold On Me," the bluesy "In The Basement," and the Southern soul of "Tell Mama." 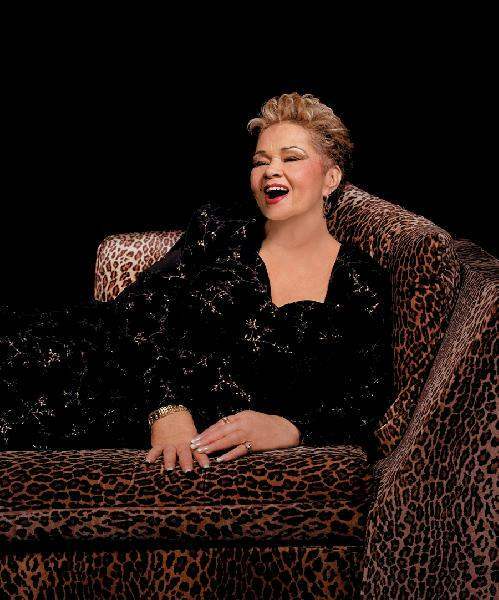 James took home a Best Jazz Vocal Performance GRAMMY Award at the 37th Annual Awards for her album Mystery Lady (Songs Of Billie Holiday), and in 1999, "At Last" was inducted into the GRAMMY Hall Of Fame. Diane Ladd. Ladd's credits include "Rambling Rose," "Alice Doesn't Live Here Anymore," "Black Widow" and "28 Days." "Wayne's World," "The Decline Of Western Civilization," and "Suburbia." Programming/Special Projects at the Sundance Institute will be introducing Suber for his honor. Carter, Reagan, Bush and Clinton. Rita Coolidge, Shirley Jones Robert Wise, Carl Reiner, Howard Koch, Marsha Mason, Billy Preston, Patty Duke and William Shatner.